Follow me on Facebook, Twitter, Instagram and Periscope TV for more frequent updates: @alizkoletas. 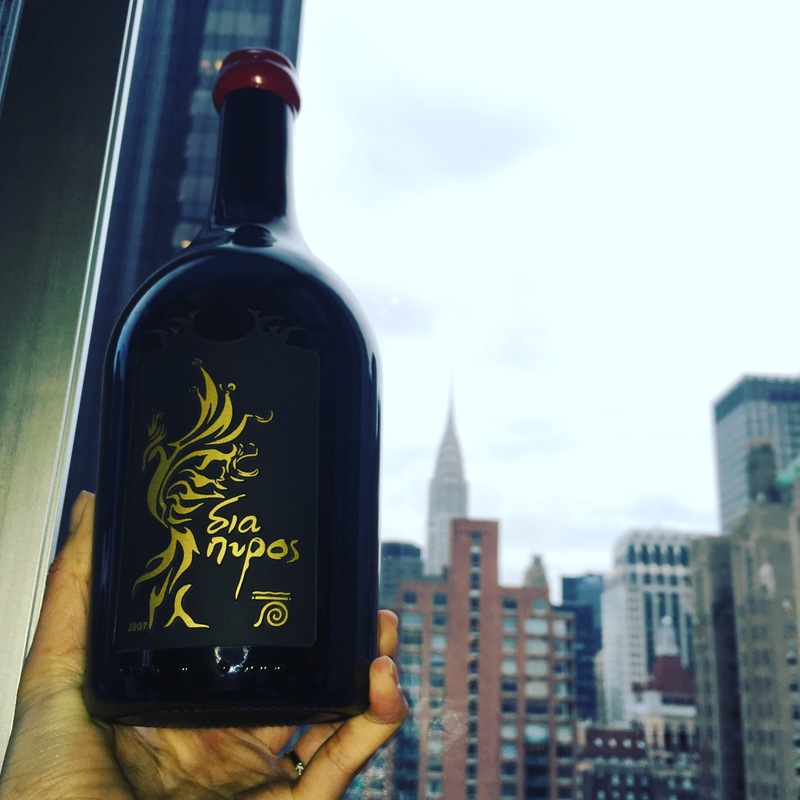 Dionysi and Dionysia Brintziki, founders and owners of Ktima Brintziki celebrated the worldwide release of Dia Pyros this week in New York. “Dia Pyros,” meaning “from the fire” has a truly remarkable story of its grapes surviving the terrible “Greek Hellfires” of 2007 when the Brintzikis remember how over 3000 fires raged across Greece scorching 670,000 acres of land making it the worst fire season on record in the past 50 years in Greece. The fires even reached Brintziki Vineyards outside Ancient Olympia, and while the vineyards weren’t spared, the grapes somehow still survived through the scorching flames. 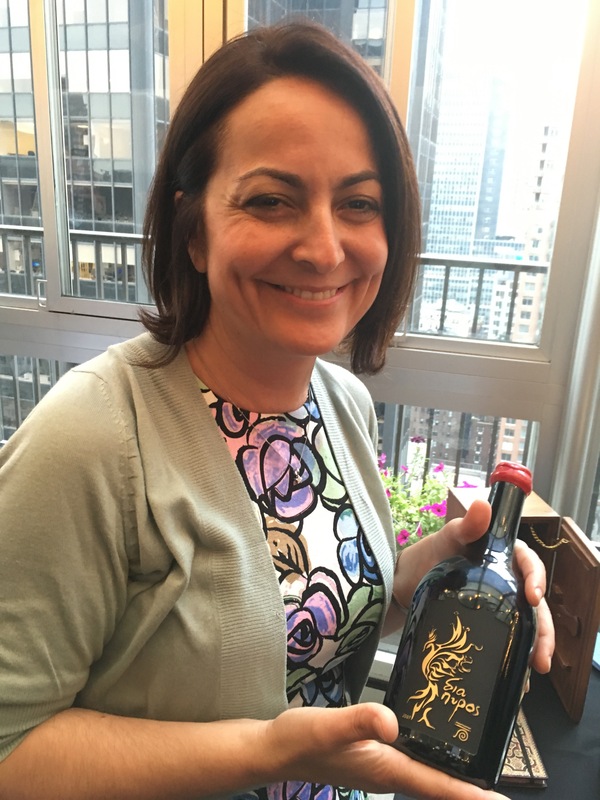 Ktima Brintziki has captured the uniqueness of vinifying these grapes which have undergone such an extreme situation and after one long years of aging, they have come out with a wine that truly one of a kind. Upstairs at Kimberly Hotel was packed with Greeks and non-Greeks alike who came out to support the Brintziki Winery. 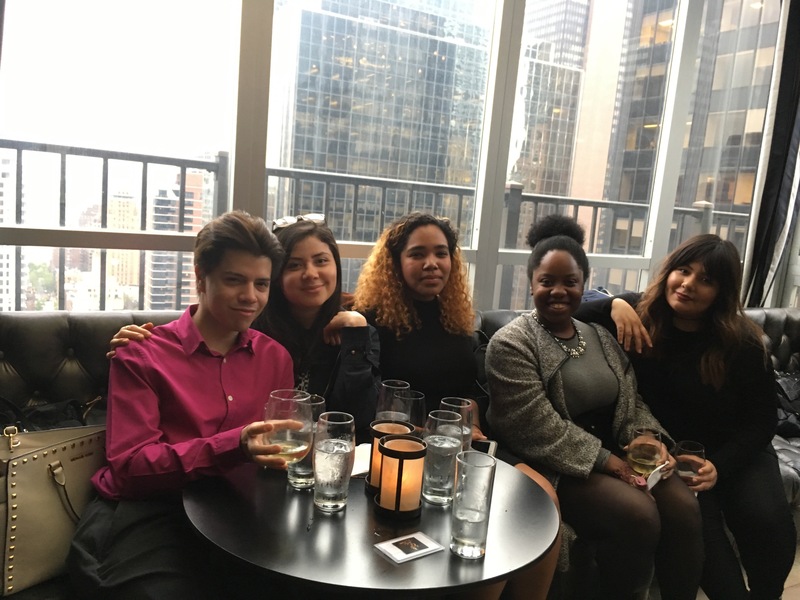 Groups of New York food bloggers, including Daska Navia from Tater Thoughts, gathered together to reflect in the gathering and raise their wine glasses in salute to the incredible story behind Dia Pyros. 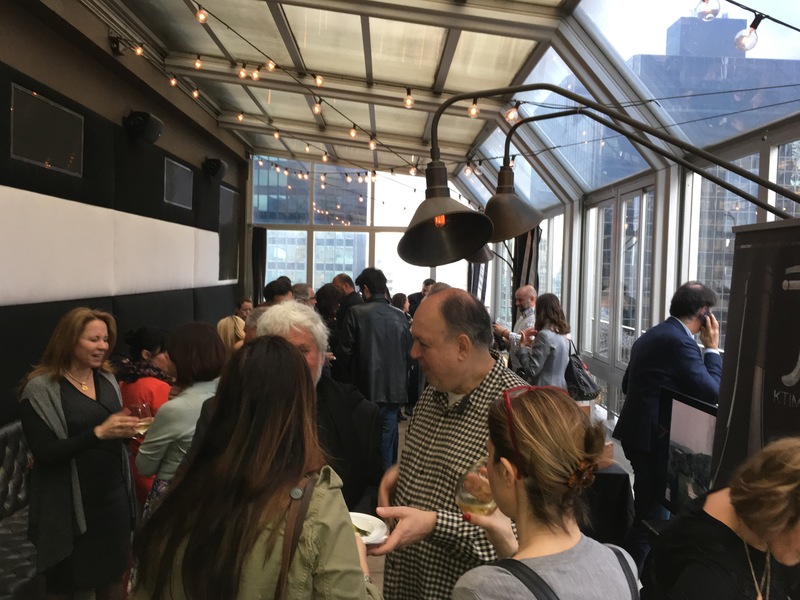 Dean Gamanos, founder of Greenwich Wine Society in Connecticut, raved about how Greek wines are finally being discovered in America and how happy he was to support the event. As an organic winery and the first green and energy friendly winery in Greece, Brintziki Winery and the couple behind it, the Britzikis are also proud of the fact that they can now share their wine with the rest of the world and tell the miraculous story of how their grapes came through the fire to tell this story. Being released are 2300 individually numbered bottle of Dia Pyros, which are wax sealed bearing the handwritten signature of Dionysis and the oenologist George Kotseridis. More information is available at brintzikis.com.